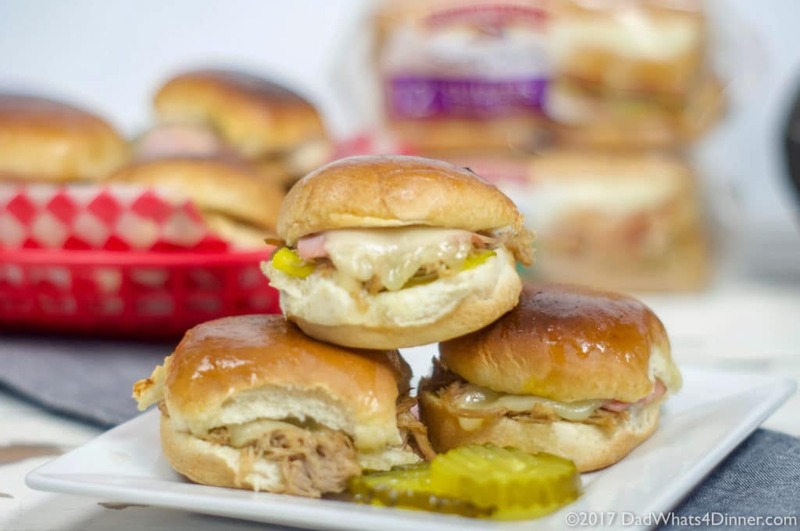 When you want a change from the ordinary hamburger slider, try these Instant Pot Cuban Sliders, sure to be a game day winner. 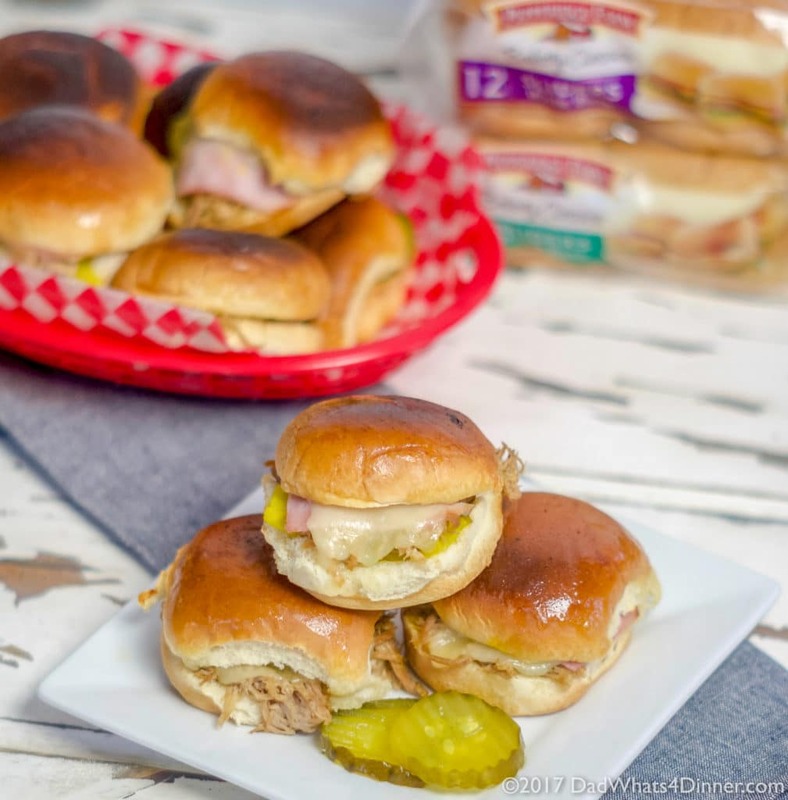 All the flavor of a great Cuban including fall off the bone pork shoulder, ham, swiss cheese, pickles, mustard, on a Pepperidge Farm® soft slider bun. So for Christmas, I asked for an Instant Pot but my lovely wife gave me another slow cooker instead. Obviously, this was my fault because I did not explain exactly what an Instant Pot was. Well, the slow cooker has been returned and I have my new kitchen BFF the Instant Pot. 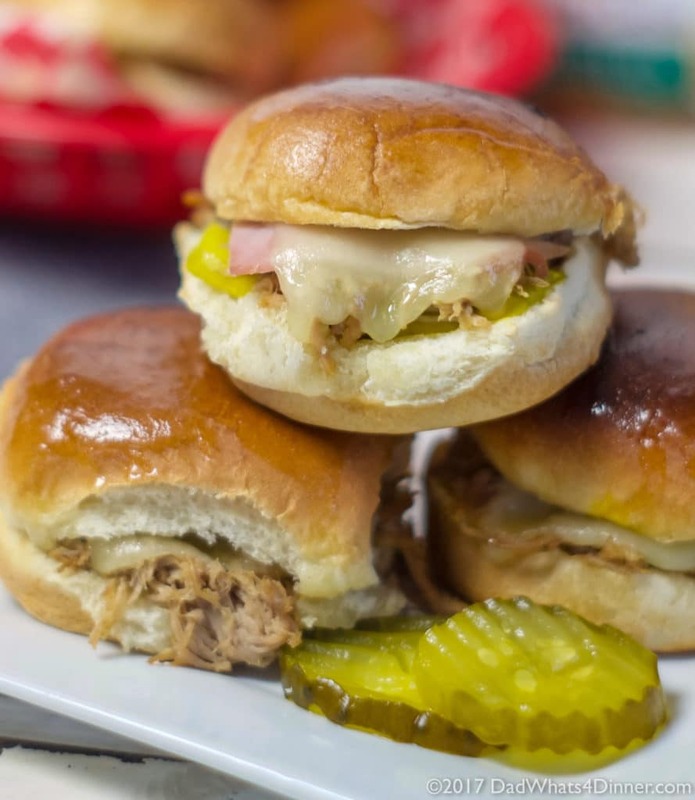 I am obsessed and have already made soups, desserts, rice and lots of other dishes including the pork for these awesome Cuban Sliders. Expect lots of Instant Pot recipes on the blog soon. Now let’s get back to these sliders. 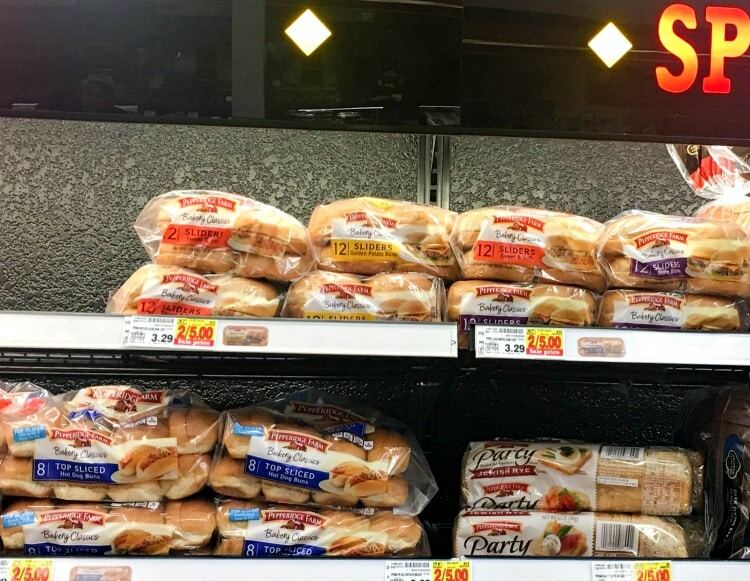 I was at my local Krogers, picking my game day supplies and the ingredients to make my Instant Pot Cuban Sliders including few packs of Pepperidge Farm Slider Buns. 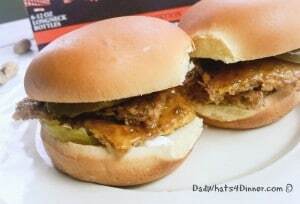 I love Pepperidge Farm Slider Buns because they are so versatile for any recipe. They’re always baked perfectly and have the widest variety of yummy flavors like – White, Sesame, Potato, Sweet & Soft, and Wheat. This is why I only use Pepperidge Farm bakery buns for all of my slider creations. 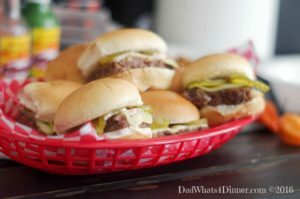 My friends call me the Slider King and I love to create many new varieties including Spicy Beer Bratwurst, Goetta, Meatloaf, Beer Braised Shredded Beef, and Reuben Sliders. 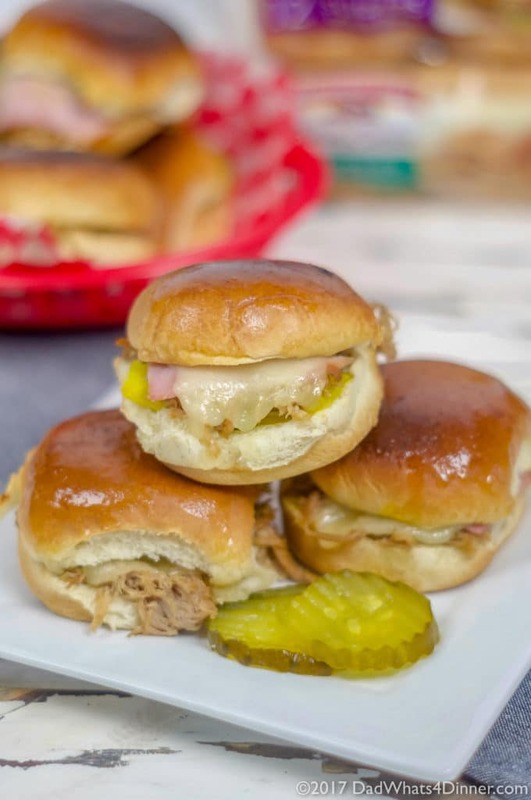 So for the playoffs, I came up these Instant Pot Cuban Sliders which includes all my favorite ingredients from my favorite sandwich the Cuban: pork, ham, swiss cheese, pickles, mustard, and Pepperidge Farm® buns. For Pork; First, make the marinade by combing first 10 ingredients through cilantro in a food processor. Pulse until the onion is minced. Place the marinade a pork into a large ziplock bag; Toss to coat. (Optional: marinate in refrigerate for 4-12 hours to marinate, but this isn’t necessary). Place pork roast and marinade into the insert of your instant Pot. Close lid and set for 55 minutes at high pressure. 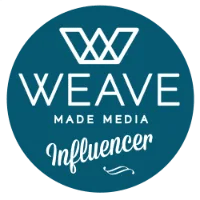 After the 40 minutes are up, press keep warm / cancel and allow the pressure to release naturally for 10 minutes then use quick release method to finish venting. Remove pork to a bowl with about 1 cup of the cooking liquid. Keep warm or refrigerate before assembling sliders. To assemble the Sliders first preheat your broiler to low. Separate top and bottom of slider buns and place on baking sheet. Spread mustard on bottom bun then layer with pickles, pork, ham, Swiss cheese and top bun. Place sliders on the middle rack and broil for 3 minutes or until cheese is melted and buns are browned. Enjoy the games! 1 (15 oz.) package Pepperidge Farm Slider Buns. First, make the marinade by combing first 10 ingredients through cilantro in a food processor. Pulse until the onion is minced. Close lid and set for 40 minutes at high pressure. After the 55 minutes are up, press keep warm / cancel and allow the pressure to release naturally for 10 minutes then use quick release method to finish venting. Separate top and bottom of slider buns and place on baking sheet. Spread mustard on bottom bun then layer with pickles, pork, ham, Swiss cheese and top bun. Place sliders on the middle rack and broil for 3 minutes or until cheese is melted and buns are browned. -Chef Notes. If you do not have an Instant pot you can combine all pork ingredients in a slow cooker and cook for 6 hours on low. -You can also substitute deli shredded pulled pork. 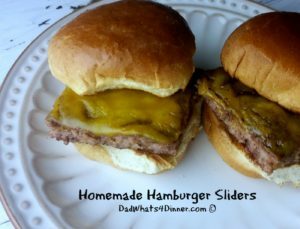 Need more slider recipe inspiration visit Pepperidge Farm and also find a $1 off coupon. 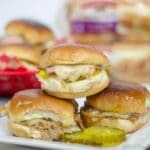 Check out more of our slider recipes to get ready for game day!